Many tourists are told an old, tired tale that Spain & Portugal merely tolerate each other… as if turning their backs to one another at the border. Nothing could be further from the truth. Since early medieval times, intermarriage between the Portuguese & Castilian courts formed the cornerstone of foreign policy for both kingdoms. The 1385 battle at Batalha established a fairly permanent border between them, but soon afterwards the Discoveries era brought them into frequent contact. Portuguese captains worked for Spain with ship crews almost always a mix from both. To the chagrin of other European countries, Spain & Portugal divided the world. Even in the 20th century, both had decades-long dictatorships. Spain & Portugal have much more in common than most people realize. 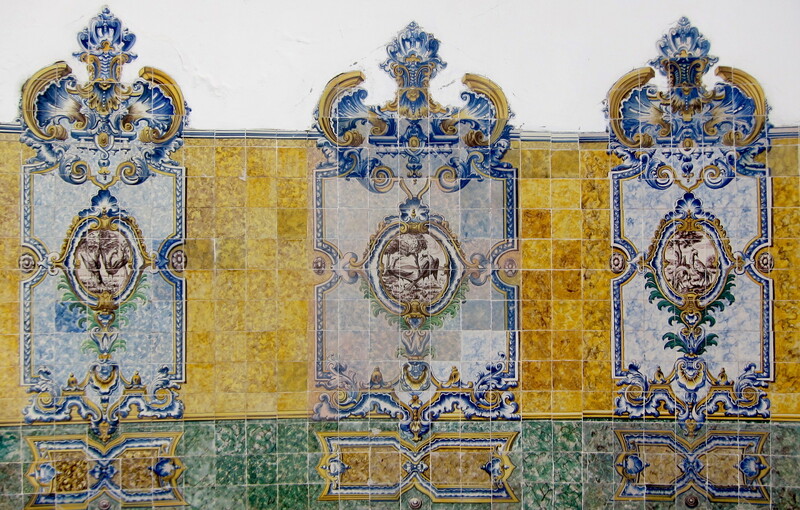 Due to their relative proximity & historical importance, the cities of Sevilla & Lisbon are easy places to look for remnants of this interaction. 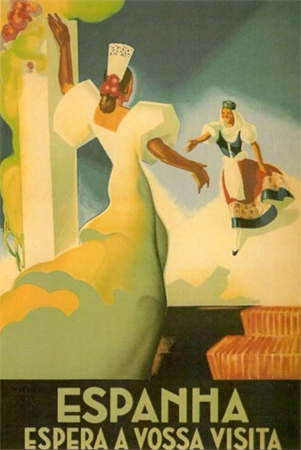 My husband is from Sevilla & has long had a fascination with the 1929 Exposición Ibero-Americana… even a point in common on our first date ;-) We’re planning to release an Endless Mile expo guide next year for its 90th anniversary, so stay tuned! In the meantime we’ve been researching, reading whatever documents we can find online & sharing information… which we think has lead to a discovery. 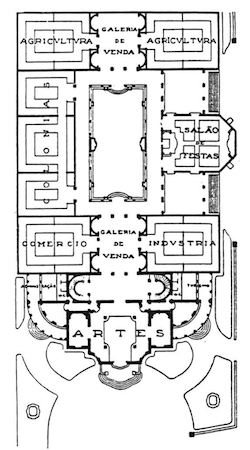 Portugal built a stunning pavilion for the expo, but only the main building still stands. 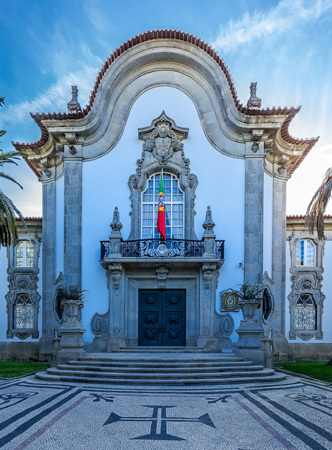 Designed by the Rebelo de Andrade brothers—best known for Lisbon’s Museu Nacional de Arte Antiga & the large Alameda with its monumental fountain—the Portugal pavilion was surrounded by other structures highlighting the empire’s commerce. 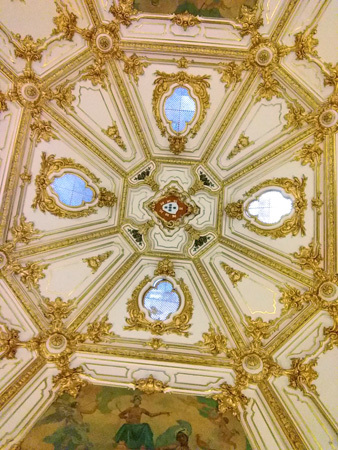 There was even a separate Macau pavilion! Most of those extra bits & pieces have ended up in other places. 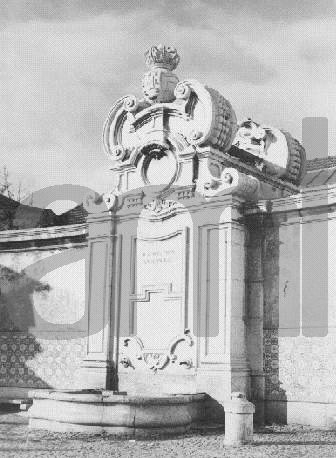 For example, a statue of Camões that sat at the entrance is now on a main square in Cascais. Rafa & I are more than a little obsessed about finding where parts of the 1929 Expo eventually went. 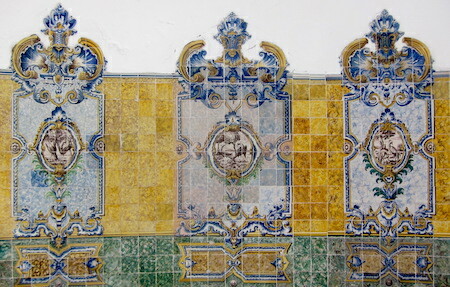 To confirm, we’ll have to dig through city records in order to see if these are indeed the same tiles from the Portugal pavilion or if they are replicas. 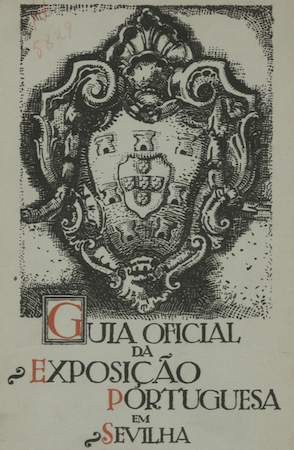 Detailed photos from the História de Portugal website (cropped below) show a signature from Mário Reis but also production credits going to the Viúva Lamego factory. Did he have the tiles fired there? And when did they appear on the fountain? 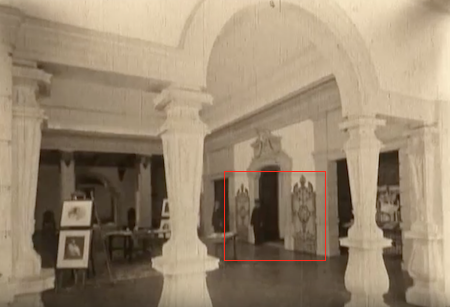 Archival photos show the chafaríz without any tiles at first, then a lower row of mass-produced tiles later. 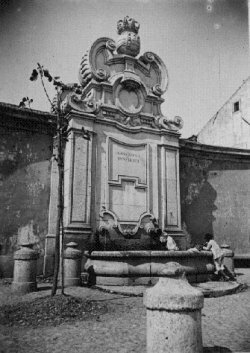 One source states that architect Raul Lino updated the fountain in the mid-20th century, so it’s possible he is responsible for placing the 1929 tiles here. Still a few dots to connect, but we’re excited to have discovered (hopefully!) these missing pieces! We’ve not found any academic resources with this information. And there are even more pavilion tile panels to uncover! 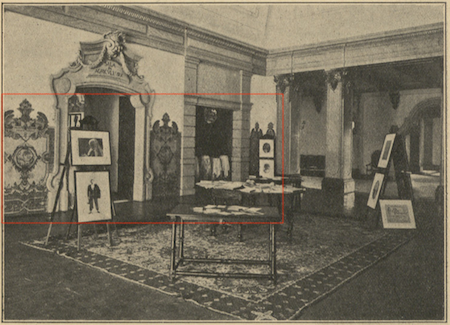 Update: Well, it seems we weren’t the first to make this discovery after all… but we were the first to put it on the internet & we did this research independently ;-) A couple weeks after writing this post, we finally got a copy of La Participación Internacional y Colonial en La Exposición Iberoamericana de Sevilla de 1929 by Amparo Graciani García. It’s the best research done on the Expo, & the author hosted an academic congress on the topic earlier this year. 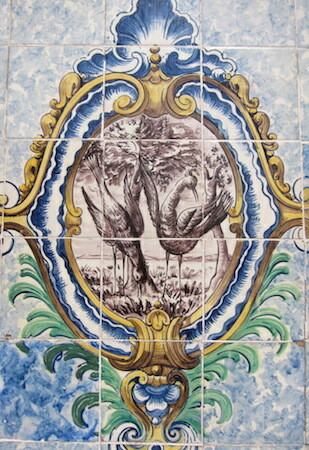 On page 288, García shows images of the tiles in their current location. At least it’s confirmed!